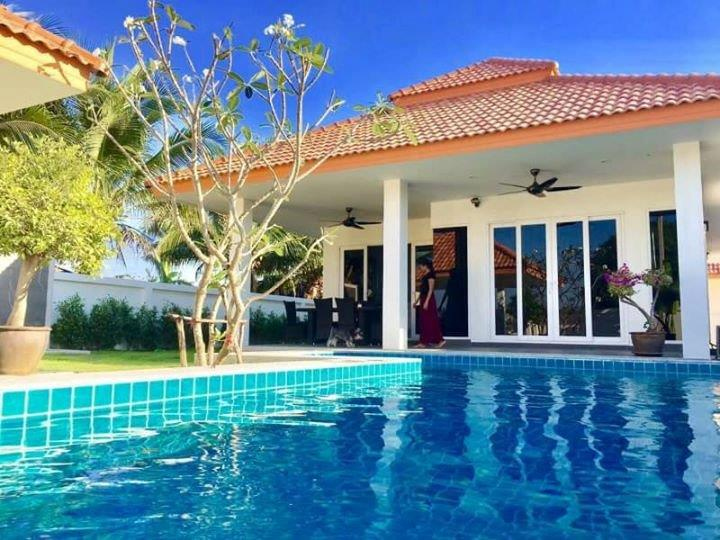 Pool Villas Starting at 3.9 million Baht with finance options available on our 2nd development of 19 private pool villas situated in a secure & peaceful surrounding located between Hua Hin and Pranburi on Wongpong Soi # 20. 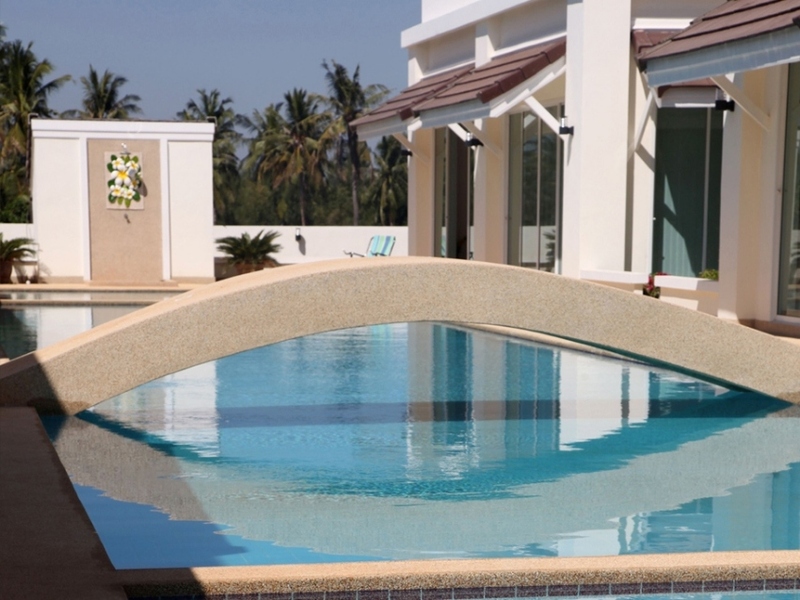 We would like to invite you to come to visit us at the sales office which is located on the corner of the 1st development between Hua Hin and Pranburi on Wongpong Soi # 20 in villa 88/18. Lovely large two story house for sale. 4 bedrooms + one office separate from the house on upstairs terrace that can double as 5th bedroom with a pull out bed. Three washrooms + Pool shower station outside. 8 x 5 m pool. Beautiful garden with high hedges offers plenty of privacy and cool shady areas. Last house on the street in Hillside Hamlet. Quiet neighborhood. Private gym in the house with Powertec MB10 multi weight resistance training station. Aircon in all bedrooms. Nine ceiling fans in bedrooms and common areas. Cool house with nice breeze off the mountains. Parking for two vehicles under cover. Located about one kilometer from Makro. 400m to Football field and 500m to 7-11. Good restaurants and a few bars within 1 km. Hillside Hamlet is locate off soi 6. House is well maintained with recently installed vinyl rain gutters. Professionally installed, 6 security cameras that can be access online. 2-bed Villa - Value for money! 16 km south from Hua Hin. On a beautiful hillside 5 minutes to the charming beach “Sai Noi”. 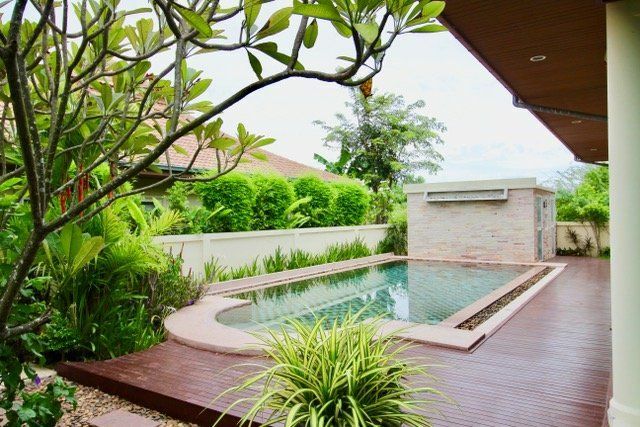 15 minutes from Hua Hin City and 3 hours from Suvarnabhumi Airport. 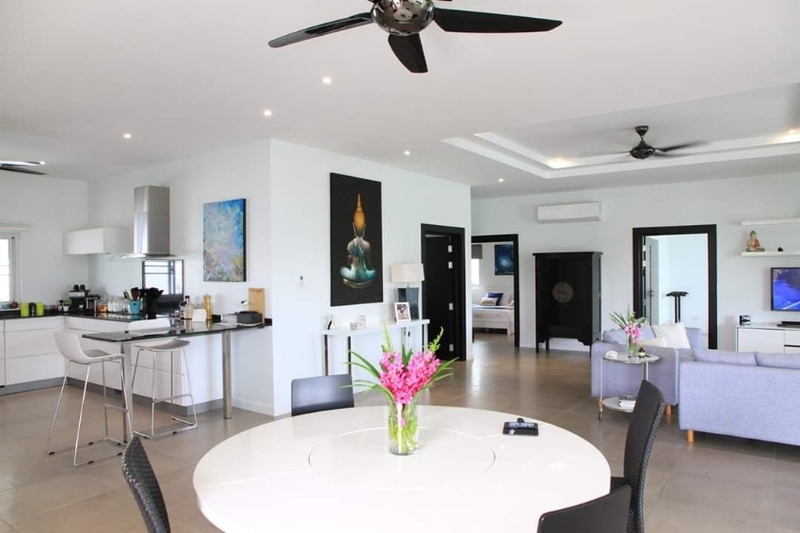 Stylish 2-bed villa fully furnished home with functionality, comfort, and jacuzzi for great relaxation and parties for stylish living. 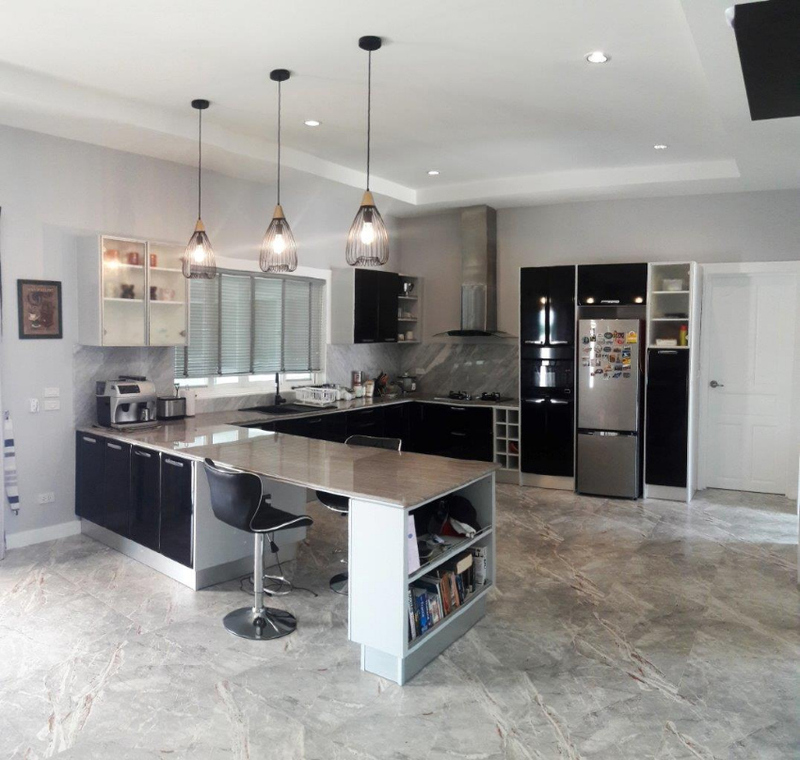 62 sqm indoor 62 sqm roof terrace 2 bedrooms 1 bathroom 1 kitchen/living room Rooftop area: BQQ/outdoor kitchen Jacuzzi Sala area Absolutely value for the money! 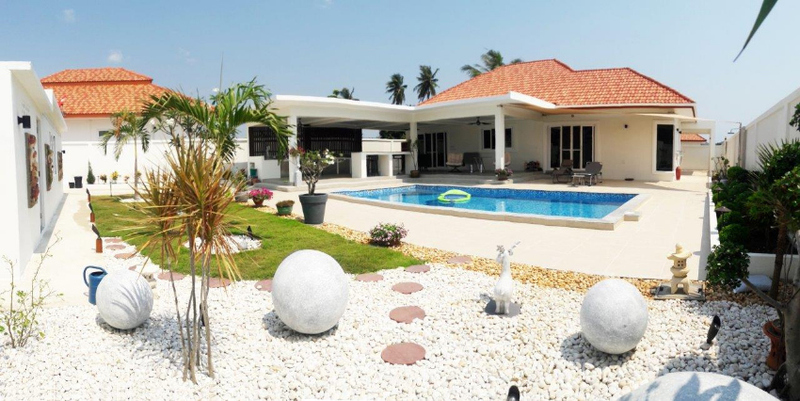 Situated in the South of Hua Hin, near Banyan golf course. This luxury pool villa has a breathtaking view from the terrace, over looking nearby mountains. Built in 2017, on a large plot of land total 1000 sqm, living area is 250 sqm, including a large covered terrace in front of the swimming pool. Inside the house has total of 3 bedrooms, 3 bathrooms, 1 storage room, and 1 dressing room. Large open space for living/ dining area, and fully equipped European style open kitchen. Fully furnished with high quality and good taste. Outside has a large sitting area on the terrace, an outdoor shower,covered parking, clean and well maintain landscaped garden. 6% rental yield! 80% of the rooftop is covered by solar panel, sufficient for daily electricity usage. Has 6000 liters under ground water reserve, and 4000 liters water tank. For sale a small and cozy house in Thai style. 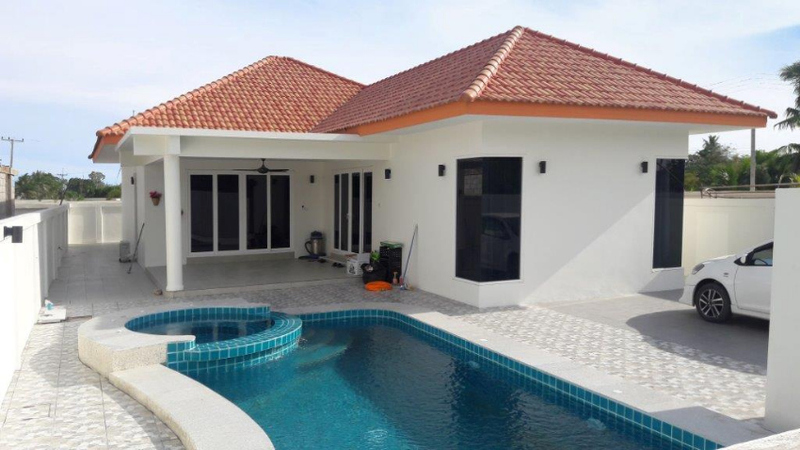 Pool Villa for Sale in Huahin By owner with tropical garden. 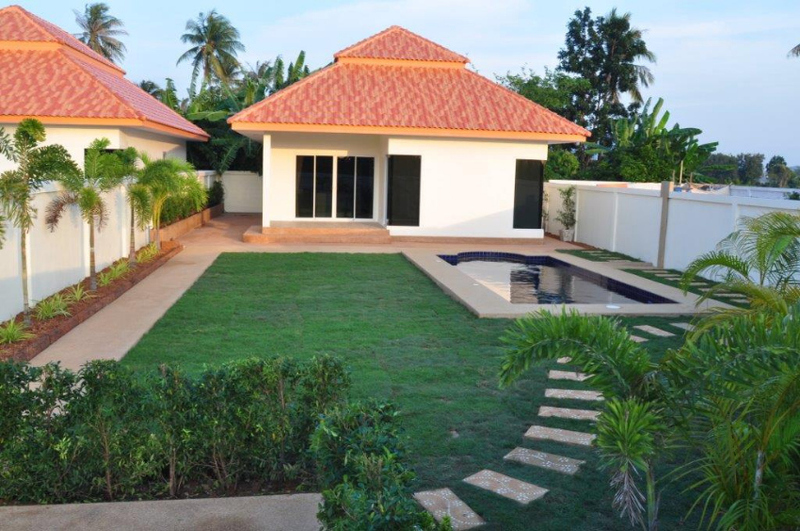 3 Bedrooms Pool Villa with Land 200 Tarangwah. 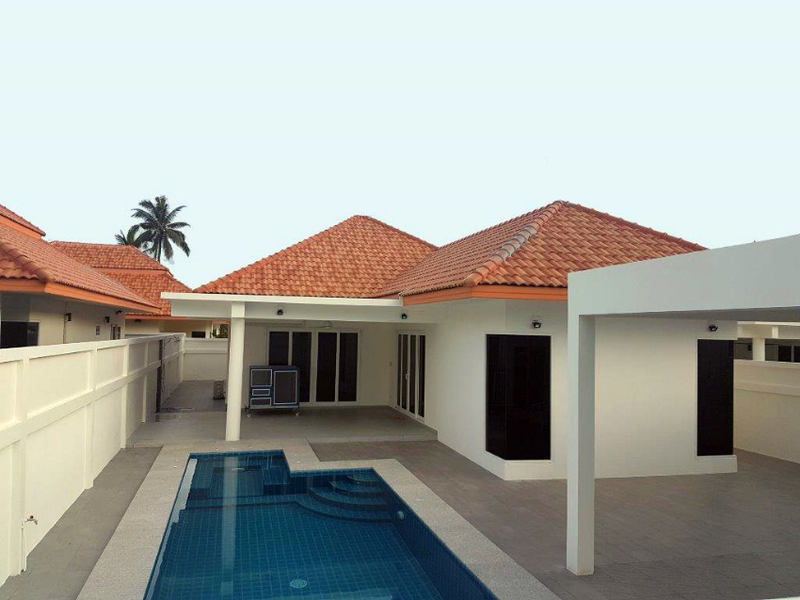 Lovely pool villa set in a secure, gated, peaceful & private estate built on a spacious 800 sq. meters plot and a comfortable 140 sq. meters of living space providing you with spacious indoor and outdoor living to enjoy and entertain. 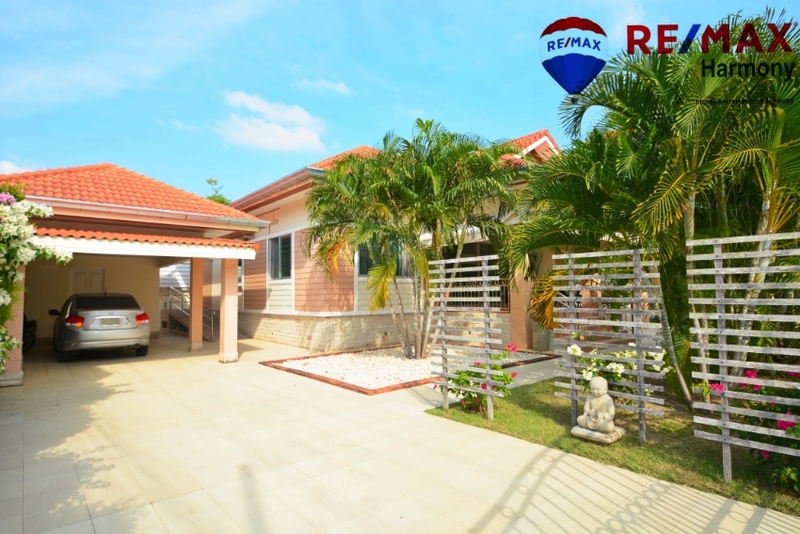 Large mature gardens all around providing complete privacy and a 30 meter square covered terrace the perfect place to enjoy out-door living in your own slice of paradise. With spacious living and dining areas, a fully equipped European kitchen, ample counter space and plenty of cabinets. Three bedrooms, & two bathrooms, with the master bedroom has an en-suite bathroom. There is a laundry room & additional storage room. Outdoor pool shower with surrounding gardens, a big custom designed pool, that measures 6m x 10m. Covered car-port and parking for 3 cars. 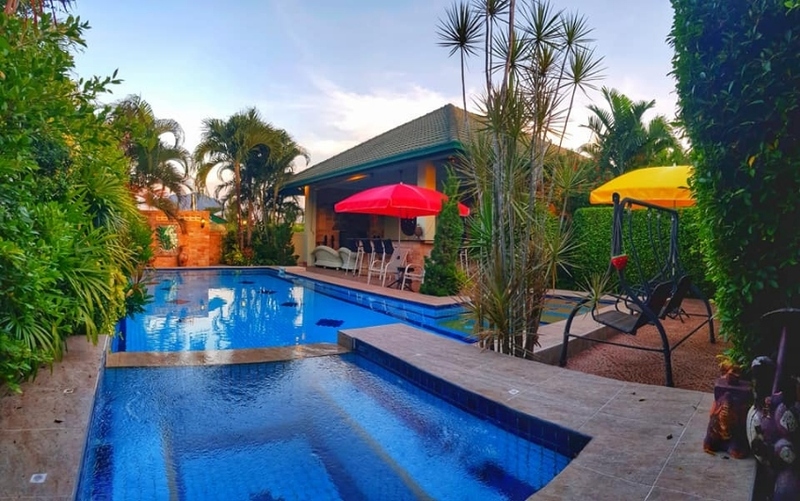 This property is located just 7-km West. Less than 10 minutes to down town Hua Hin’s city center and a bonus living here is, the quick & easy access to the by-pass road, which enables you to commute either to the north, Cha-Am & down to Bangkok, or to the South to the best beaches in Hua Hin and Prachuap. Shown by an appointment only. 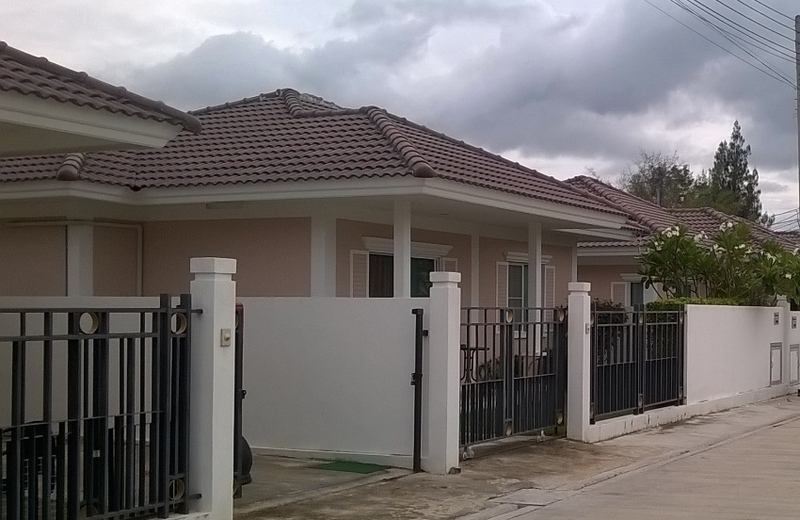 Newly built villas in nice area. Everything includes kitchen, bathroom, garden, carport. 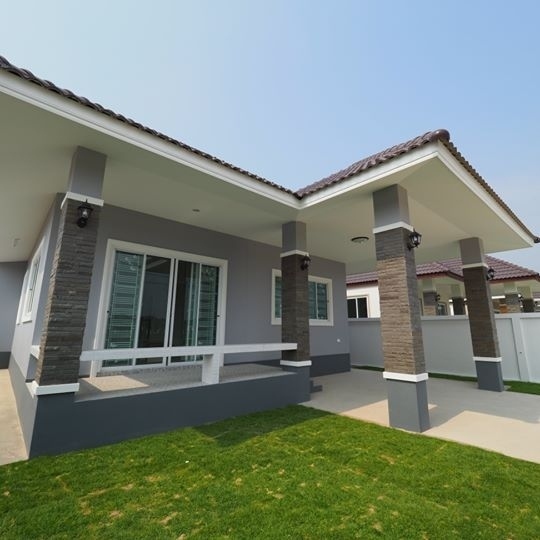 2-3 bedrooms 2 bathrooms Living room Kitchen Garden Carport Plot of 240 sqm More land 3500 baht sqm Pool costs extra size you choose You can change the house making larger moving walls, etc. No area fee. 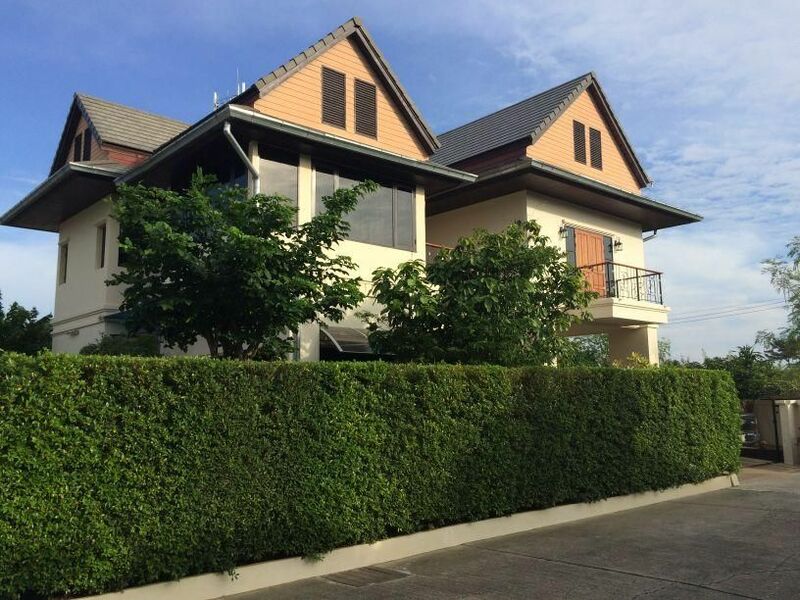 Freehold Transfer 50/50 between buyers and sellers Construction time 6 months Finans for Thai ok. For interest, we send more pictures. 3 bedroom home on The property is leasehold, with possible freehold available. 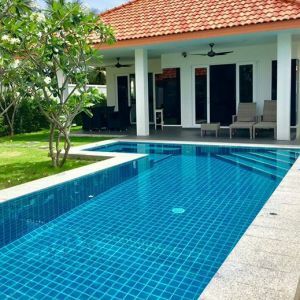 Monthly management fees are THB 5,500 Include: 24/7 Security, Shuttle Bus, Restaurant, (The Bistro) Daily Gardening Service and twice weekly pool service. Small development, original contractor / developer Steve Ayling. Property was built 2012 and has many high end fixtures. Including a fully covered, living area terrace / and dining terrace. Total living area around 210 square meters. Separate maid room with A / C. Property was also featured for promotion sales for Orchid Palms.